San Francisco Bay Area thrash metal legends TESTAMENT and EXODUS will join forces for the “Dark Roots Of Thrash II” tour. 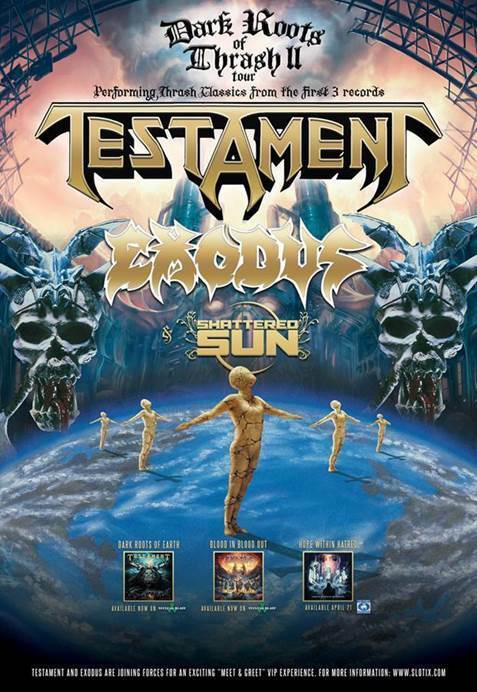 The trek will conquer North America for five weeks, beginning April 1 in San Francisco, and will include select TESTAMENT and EXODUS festival performances. 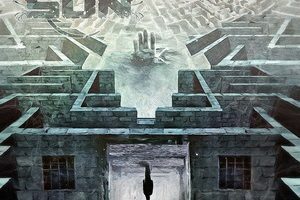 Support on the tour will come from Texas melodic metal assailants SHATTERED SUN. “Dark Roots Of Thrash II” tour will see TESTAMENT serve up a surprise for their die-hard fans. Each night, TESTAMENT will perform an epic headlining set that digs deep into the early discography that launched their worldwide career spanning two and a half decades. The set will feature full-album performances of 1987’s classic body of work The Legacy and 1988’s unrelenting The New Order, in addition to select tracks from 1989’s mainstream crossover Practice What You Preach.